Orliac, Antoine. Veronese. Photo available. London. The Hyperion Press. 1940. 4to. Hard cover. First edition. Illustrated in black, white and color. Tipped-in plates. Fine copy in near fine (spine sunned, light stain on front panel) dust jacket (in mylar). Ormes, Robert. Guide to the Colorado Mountains. Photo available. Chicago. Swallow Press. Sage Books. 1970. 300 pps. Octavo. Decorated hard cover. First edition, sixth revised edition. Illustrated. Important reference work. Fine copy. Ormond, Clyde. 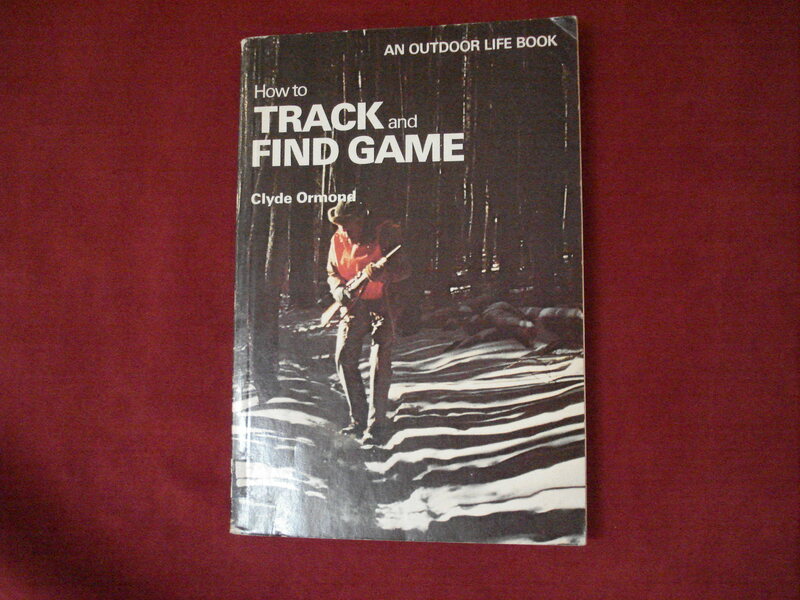 How to Track and Find Game. Photo available. New York. Funk & Wagnalls. 1975. Octavo. Soft cover. First edition. Illustrated. Near fine copy (very light shelf wear). Ormond, Richard. John Singer Sargent. Paintings, Drawings, Watercolors. Photo available. New York. Harper & Row. 1970. 264 pps. 4to. Hardcover. Stated first edition. Illustrated in black, white and color. Important reference work. Fine copy in fine dust jacket (in mylar). Ormsby, Waterman. The Butterfield Overland Mail. Photo available. San Marino. Huntington Library. 1972. Octavo. Hardcover. Reprint. Folding "special instructions". Important reference work. Fine copy in fine dust jacket (in mylar). Ornelas, Micahel R. Between the Conquests. Readings in Early Chicano History. Photo available. Dubuque. Kendall / Hunt. 1991. Octavo. Soft cover. First edition. Illustrated. Fine copy. Ornstein, Robert. 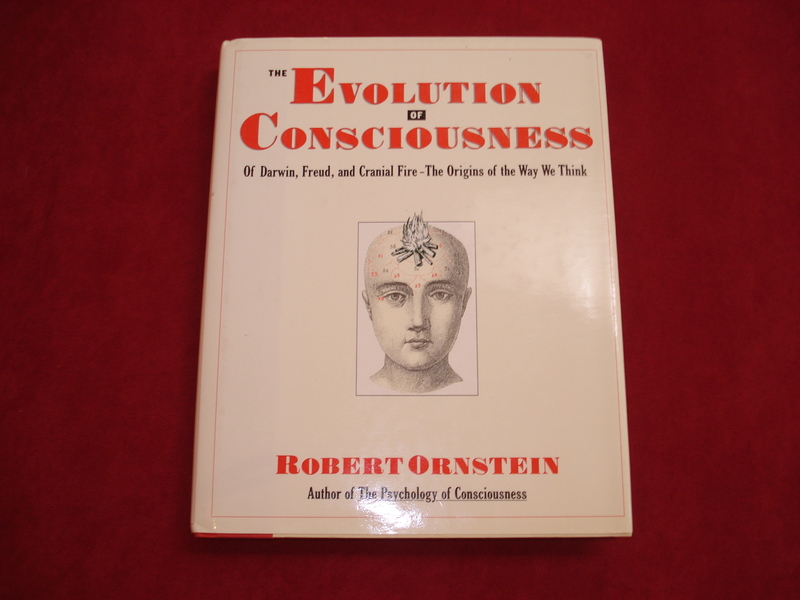 The Evolution of Consciousness. Of Darwin, Freud, and Cranial Fire: The Origins of the Way We Thing. Photo available. New York. Prentice-Hall. 1991. Octavo. Hardcover. First edition. Illustrated by Ted Dwan. Fine copy in fine dust jacket (in mylar). Oroyan, Susanna. Anatomy of a Doll. The Fabric Sculptor's Handbook. Photo available. Lafayette. C&T. 1997. 4to. Soft cover. First edition. Illustrated in black, white and color. Fine copy. Orr, Robert and Margaret Orr. Wildflowers of Western America. A Descriptive Guide with 291 Color Photograph and a Special Identification System. Photo available. New York. Galahad. 1991. 272 pps. 4to. Hardcover. Reprint. Illustrated in color and black & white. Fine copy. 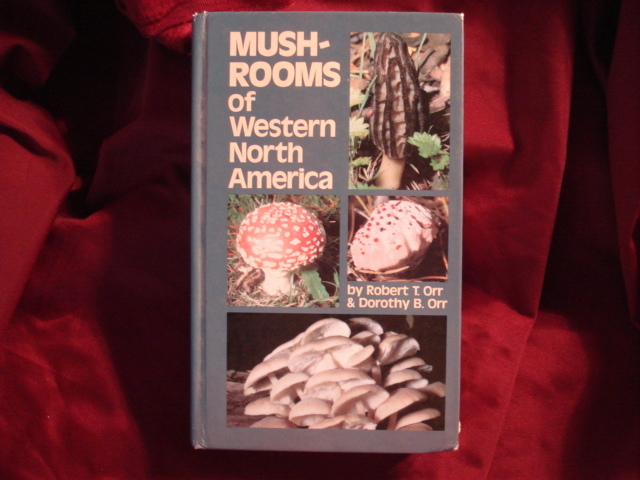 Orr, Robert T. Mushrooms of Western North America. Photo available. Berkeley. University of California Press. 1979. 293 pps. Octavo. Hard cover. First edition. Full number line. Illustrated in black, white and color. Important reference work. Fine copy (stamp on end paper). Orrock, Ray. 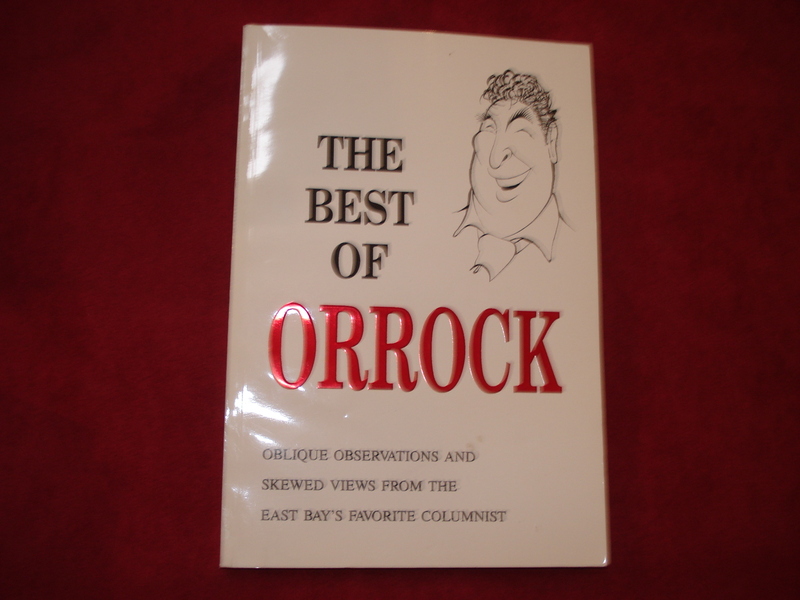 The Best of Orrock. Inscribed by the author. Oblique Observations and Skewed Views from East Bay's Favorite Columnist. Photo available. np. Self published. nd. Octavo. Soft cover. First edition. Inscribed by the author. Fine copy. Orse, Richard (ed). California History. Railroads in California and in the Far West. Photo available. San Francisco. California Historical Society. Spring, 1991. 4to. Soft cover. First edition. Illustrated. Fine copy. 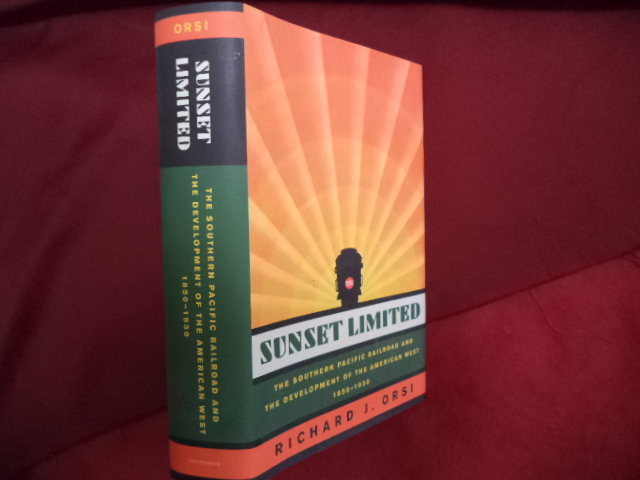 Orsi, Richard J. Sunset Limited. Inscribed by the author. 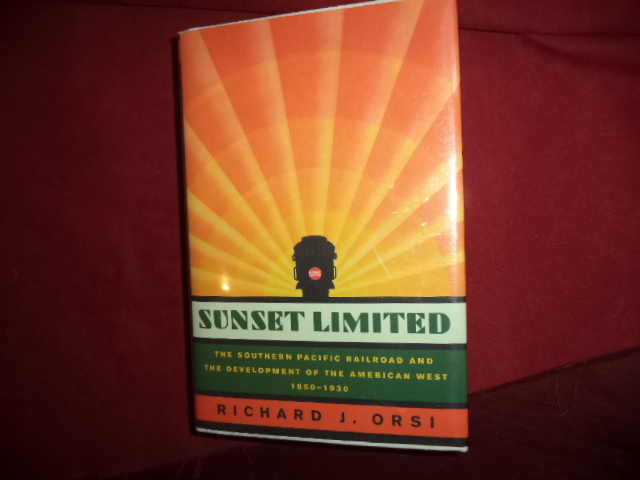 The Southern Pacific Railroad and the Development of the American West. 1850-1930. Photo available. Berkeley. University of California Press. 2005. 615 pps. Octavo. Hard cover. First edition. Illustrated. Important reference work. Inscribed by the author "To Bill Gaylord, fellow student of history. Richard J. Orsi Sacramento Stanford mansion February 28, 2006". Fine copy in fine dust jacket (in mylar). Orsi, Richard J. Sunset Limited. The Southern Pacific Railroad and the Development of the American West. 1850-1930. Photo available. Berkeley. University of California Press. 2005. 615 pps. Octavo. Hard cover. First edition. Full number line. Illustrated. Important reference work. Fine copy in fine dust jacket (in mylar). Ortbal, Robert. Robert Ortbal. Benign: Growth and Neglect. Photo available. Belmont. Weigand Gallery. nd. 4to. Soft cover. First edition. Illustrated in black, white and color. Fine copy. 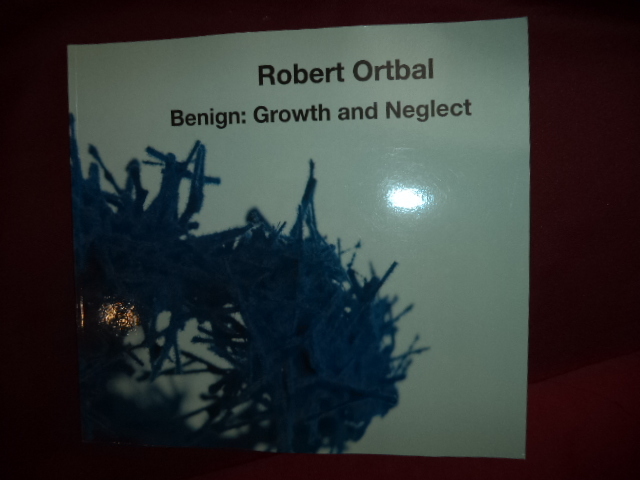 Ortbal, Robert. Robert Ortbal. 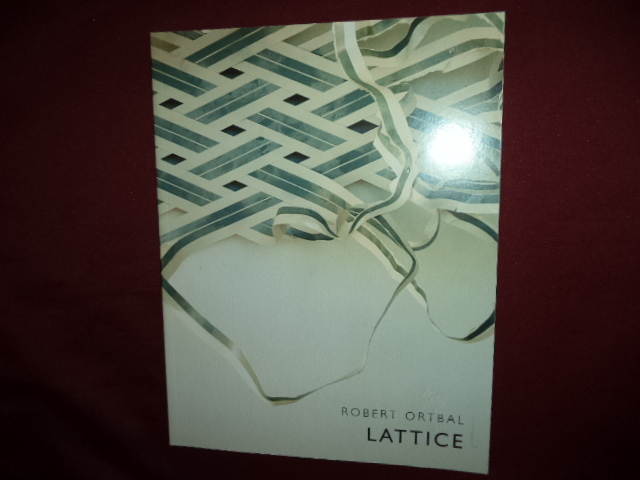 Lattice. Photo available. Turlock. University Art Gallery. CSU Stanislous. 2012. Octavo. Soft cover. First edition. Illustrated in black, white and color. Important reference work. Limited to 500 copies. Fine copy. Ortiz, Alfonso. 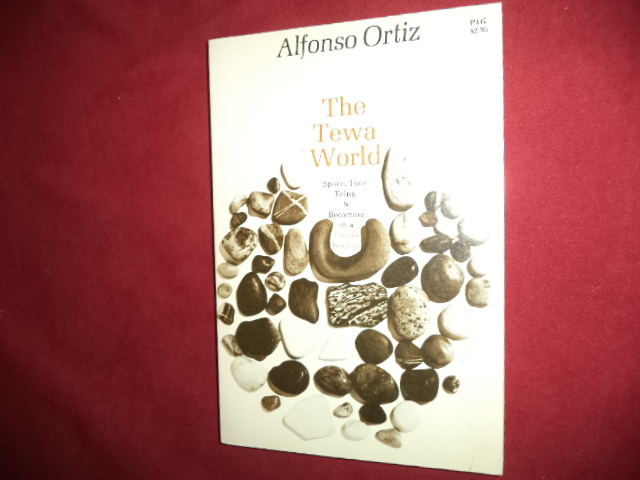 The Tewa World. Space, Time, Being & Becoming in a Pueblo Society. Photo available. Chicago. University of Chicago Press. 1974. 197 pps. Octavo. Soft cover. Reprint. Illustrated. Important reference work. Fine copy. Ortiz, Alicia. Eva Peron. A Biography. Photo available. New York. St. Martin's Press. 1996. 320 pps. Octavo. Hardcover. Reprint. Illustrated. Fine copy in near fine dust jacket (in mylar). Ortiz, Beverly R. It Will Live Forever. Traditional Yosemite Indian Acorn Preparation. Photo available. Berkeley. Heyday Books. nd. 148 pps. Octavo. Soft cover. First edition. Illustrated. Important reference work. Fine copy. Orton, Charles Wesley. 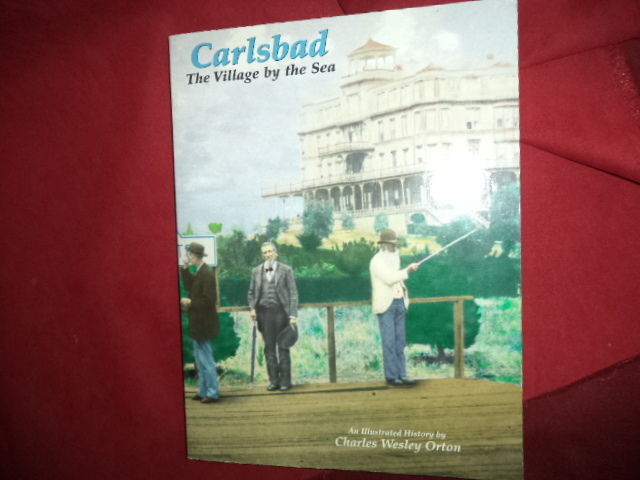 Carlsbad. The Village by the Sea. Photo available. Encinitas. Heritage Publishers. 1994. 160 pps. 4to. Soft cover. Stated first edition. Illustrated in black, white and color. Important reference work. Fine copy. Orwell, George. Animal Farm. Illustrated edition. Photo available. New York. Harcourt, Brace & World. 1954. Octavo. Hardcover. First edition thus. Illustrated by Joy Batchelor. Fine copy in near fine (very light shelf wear) dust jacket (in mylar). Osband, Linda. 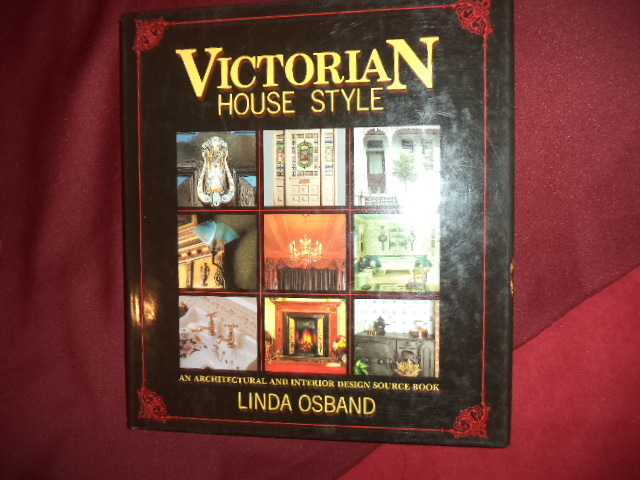 Victorian House Style. An Architectural and Interior Design Source Book. Photo available. np. David & Charles. 1993. 4to. Hardcover. Reprint. Illustrated in black, white and color. Fine copy in fine dust jacket (in mylar). Osborn, Henry Fairfield. Men of the Old Stone Age. Their Environment, Life and Art. Photo available. New York. Charles Scribners. 1919. 559 pps. Octavo. Gilt decorated hard cover. First edition. Illustrated. Large folding plate. Important reference work. Very good copy. Light shelf wear. Osborn, June E. (ed). Influenza in America. 1918-1976. History, Science, and Politics. Photo available. New York. Prodist. 1977. Octavo. Hardcover. First edition. Illustrated. Important reference work. Scarce. Fine copy in fine dust jacket (in mylar). Osborn, Robert. The Vulgarians. A Satire in Pictures and Words. Photo available. New York. New York Graphic Society. c. 1960. Octavo. Hard cover. First edition. Illustrated in black, white and color. Fine copy (with "+Elsie" signature) in very good (chip on bottom edge) dust jacket (in mylar).